PHESC is funded by the Ontario Ministry of Health and Long-Term Care through the Health and Well-Being Grant. The purpose of this two-year grant is to support the development of a comprehensive training plan to improve knowledge, skills, and performance of Ontario’s public health workforce while integrating a health equity approach. The PHESC collaborative is launching an additional site – phesc.ca! The purpose of this site is to provide a place for partners and participants to keep in touch with the ongoing details of providing and managing professional development offerings. In addition to highlighting the mission, vision and values, this site will also provide access to our newsletters, link to our Learning Management System for browsing and registration and provide information on upcoming training opportunities and events. Have a look and let us know what you think! Subscribe to our newsletter to hear about the latest PHESC training offerings (up to one message per week). We are guided by an approach that emphasizes connecting cohorts of learners through learning communities, developing training pathways that adapt existing resources to local contexts, and ensuring the sustainability of training tools and resources beyond the life of the grant. PHESC has established a Program Advisory Committee (PAC) that consists of individuals from PHUs in different regions, other health and social system intermediaries, project partners, and experts in diversity, equity and training to guide the project. Aamna Ashraf is Manager of Health Equity at the Centre for Addiction and Mental Health (CAMH). 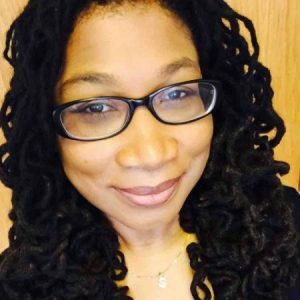 She is a well-known figure in the field of health equity and is an experienced professional in the areas of program and policy implementation, stakeholder development and partnerships. 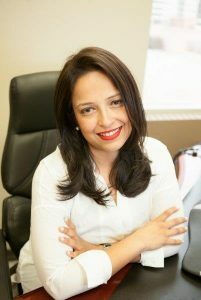 Aamna holds a Master’s Degree in Education (Counseling Psychology) and has worked in the not for profit sector for over 20 years. As an advocate for health equity, Aamna leads the award winning Immigrant and Refugee Mental Health Project and serves as one of Ontario’s Health Equity Impact Assessment Champions. She previously worked as a Senior Program Advisor in refugee resettlement with the Ministry of Citizenship and Immigration. Before this she was the Director of the Peel Newcomer Strategy –the Local Immigration Partnership for Peel region. Aamna has also worked at United Way Peel and York as well as leading service development for diverse populations at Canadian Mental Health Association Toronto. Shana Calixte lives on the ancestral, traditional and unseeded territory of the Atikameksheng Anishnawbek, in the Robinson Huron Treaty territory and is the Manager of Mental Health and Addictions for Public Health, Sudbury & Districts. She leads a multi-disciplinary team to provide upstream mental health promotion programming as well as community initiatives around addictions and opioid use. 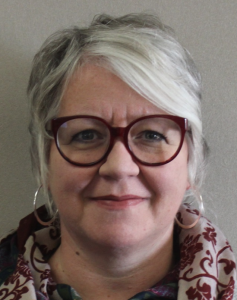 Her previous roles included the lead for Mental Health and Addictions at the North East Local Health Integration Network, as well as the Executive Director of NISA / Northern Initiative for Social Action, a peer-run organization located in Sudbury. Dr. Vera Etches is the Medical Officer of Health for Ottawa Public Health (OPH). From a small town in northern British Columbia, her specialty training in public health and preventive medicine brought her to Toronto. Prior to joining OPH in 2009, she served as an Associate Medical Officer of Health, Acting Medical Officer of Health and Director of Clinical Services at the Sudbury & District Health Unit. 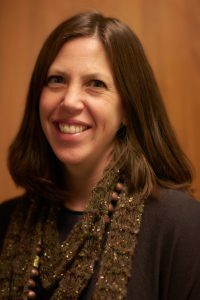 In her work as Associate Medical of Health at OPH, she has led and supported work across the breadth of public health practice – from clinical services and outbreak management, health promotion and disease prevention, to surveillance, program evaluation, and evidence generation and dissemination. Appointed Medical Officer of Health in May 2018, Dr. Etches remains committed to addressing rural, Indigenous, and urban health issues and is passionate about building bridges between government, business, community and academic sectors to promote and protect health. Marie Klaassen is a nurse with 28 years of public health experience at Toronto Public Health (TPH). She has worked in communicable disease control, maternal and infant health, policy and planning, technology and information management, early years and school health. After a decade of progressive management experiences, Marie currently holds the position of Associate Director, Child Health and Development. In this position Marie is interconnected with stakeholders and partners across the province and across the child and family service sector in Toronto. 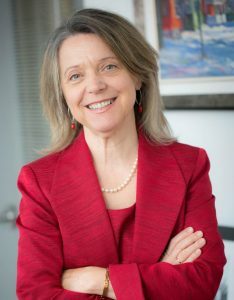 As the current co-chair of the provincial PHEY (Public Health Early Years) group, Marie has had the opportunity to bring together and collaborate with partners at Public Health Ontario, ALPHA, OMOH and senior management in public health units across Ontario to address and advocate on issues related to child health outcomes, within the context of the new OPHS. Within TPH, Marie is an organizational leader and strong proponent for advances in population health strategies in front-line public health practice as well as building multi-level capacity to better identify and work with those in need of more intensive support. Dr. Jeff Masuda is a human geographer, specialized in human rights, public health, and the environment. He has published widely in the areas of community based participatory research, equity focused knowledge translation, health geography, and environmental justice. Formerly as a CIHR New Investigator and now as a Canada Research Chair, Jeff directs the Centre for Environmental Health Equity, a platform for policy-relevant research that supports communities through creative research and translates knowledge into action for more equitable and just environments. 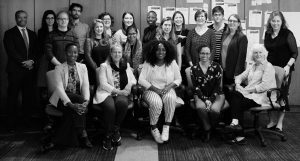 At CEHE he leads collaborative projects with scholars, community leaders, practitioners, and policy makers across Canada and internationally, focused on issues relating to housing and tenant rights, neighbourhood change, food security, the right to the city, and Indigenous energy sovereignty. 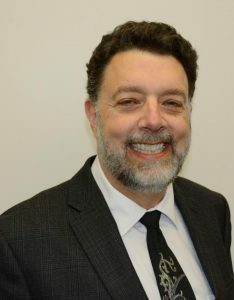 Jeff is a former Advisory Board member of the CIHR Institute of Population and Public Health and is a Senior Editor for the Canadian Journal of Public Health. 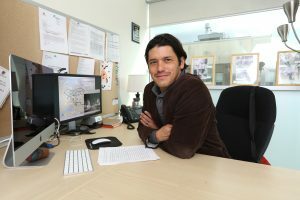 Brent Moloughney is the Medical Director in the Health Promotion, Chronic Disease and Injury Prevention Department at Public Health Ontario (PHO) and an Assistant Professor in the Dalla Lana School of Public Health at the University of Toronto. At PHO, He heads an Applied Public Health Science unit of public health content experts that provide scientific and technical support and advice to public health units, government and others. Prior to joining PHO, Brent was a public health consultant for many years working on several public health workforce development issues and initiatives. These include the development of national competency sets for Medical Officers of Health, as well as Health Promoters; national guidelines for MPH programs; piloting the enumeration of the public health work forces of multiple provinces; and describing system roles for public health continuing education. In addition, Brent has a particular interest in the role of community design in supporting the public’s health. Dr. Rosana Salvaterra has served as the Medical Officer of Health for Peterborough Public Health (PPH) since 2008. Prior to coming to Peterborough, she worked in both Toronto and Stratford in similar positions. Dr. Salvaterra currently holds an academic appointment with Queen’s University, and has worked both internationally, and in First Nations communities in Canada. Dr. Salvaterra has also been a health columnist for the Toronto Star in the past, and co-hosted a daily TV health show. As a Family Physician, she specialized in the care of immigrant, refugee and HIV-infected populations. She continues to practice clinical medicine in PPH’s Sexual Health Clinic. In June 2018, the Training Collaborative reviewed 17 documents, including existing needs assessments and provincial reports, produced between 2013 and 2018 to identify a list of Training Themes. Building on this review, the PHESC Training Collaborative met to validate the list and align the identified training needs with the Ontario Public Health Standards (OPHS), particularly the first three Foundational Standards: Health Equity, Population Health Assessment, and Effective Public Health Practice. In July and August 2018, PHESC circulated these identified training themes and conducted consultations with Ontario’s Public Health Units (PHUs) to identify priority training needs, preferred modes of training delivery, and areas for further organizational and system-level capacity building within the PHUs. Consultation results (report, infographic) are now being used to create a comprehensive training plan that integrates a health equity lens. Visit our website at PHESC.ca to register for upcoming events. Ontario Ministry of Health and Long-Term Care. (2018). Ontario Public Health Standards: Requirements for Programs, Services, and Accountability. For more information or if you have any questions, please contact PHESC at PHESC.dlsph@utoronto.ca.